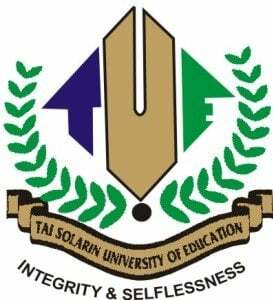 Tai Solarin University of Education (TASUED) is recruiting for University Librarian. The ideal candidate should possess a good honours degree (not below Second Class Honours) and a Masters degree in Library Studies from a recognized University . See also: TASUED Recruitment for Registrar. THE POSITION OF THE UNIVERSITY LIBRARIAN: The University Librarian is a Principal Officer of the University responsible to the Vice- Chancellor for the administration of the University Library and coordination of all library services in the University, her Colleges, Schools, Institutes and other teaching and research units. As an academic unit, the successful candidate will be expected to give both administrative and academic leadership. be a team player with ability to delegate and instil confidence in others and command the loyalty and respect of people. Possession of a PhD Degree and membership of a recognized relevant professional body will be an added advantage. The candidate must be a Deputy Librarian and must have at least ten (10) years post qualification cognate experience Applicant must have been a Deputy Librarian for a minimum of three (3) years. Apply Before: Tuesday, 5th June, 2018. Each application should be made in 30 copies and be accompanied by 30 copies of the candidate’s curriculum vitae duly signed and dated. The curriculum vitae must contain: the candidate’s name in full, address, age. marital status: institutions attended and academic qualifications (with dates): nationality: membership of academic and professional bodies (with dates) and details of administrative e and managerial experience in the University system. All applications must be submitted in scaled envelopes, marked “ University Librarian Position” at the lop left hand comer and forwarded to teach the Vice-Chancellor not later than Tuesday, 5th June, 2018.